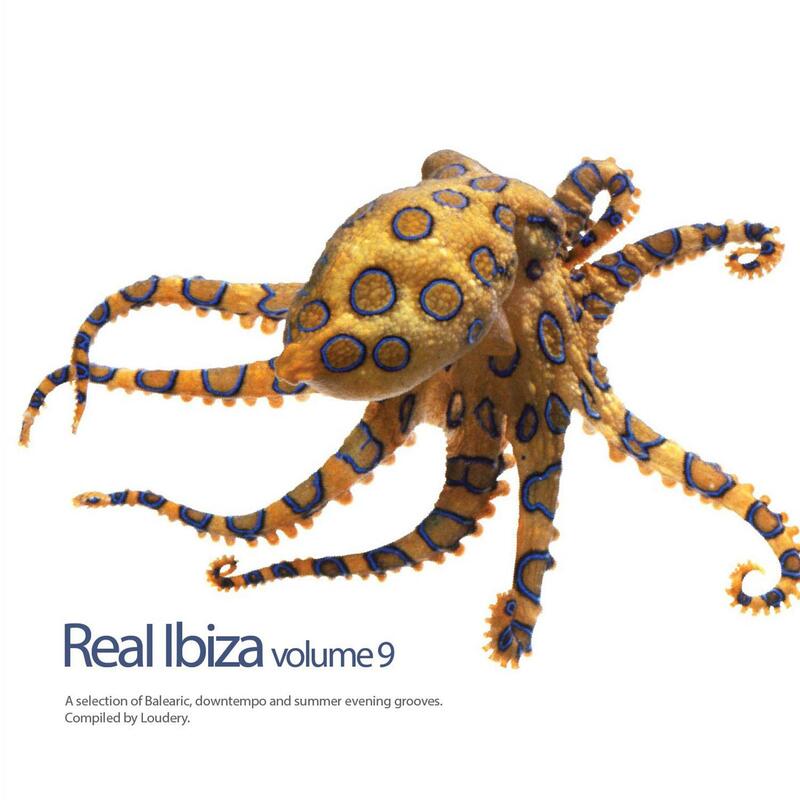 Following on from the 2015 return to the frey Real Ibiza returns to the white isle for the 2016 edition of the benchmark Balearic compilation "Real Ibiza Volume 9". First launched in 2000 Real Ibiza was one of the first wave of Ibiza / Balearic inspired compilations. A cornerstone of the genre alongside the Café Del Mar series. Real Ibiza gets inside the Balearic bloodstream by mixing in downtempo sensibilities, mellow house, cool jazz and plentiful doses of evening sun-washed grooves. For episode 9 Bahamian DJ Loudery returns to sample the delight and mood of Balearic music worldwide. As is the formula for Real Ibiza the zeitgeist is all Ibiza whereas the participants in the music hail from locations all over the word. First up we head to Prague to sample the 30 piece string section of the Prague Philharmonic Orchestra with Czech producer Sonority setting a mellow introducing tone with the cinematic "Virtus". Its then a trip to the other side of the world for Australian producer Gary B to set things on a dreamy plateau with his bass guitar driven "Better Life". Next it is some unabashed sunshine groove with the lazy trumpet, sunshine piano and "boys of summer" guitar with "Isla Paradisco" from Steven Solveig. The lazy guitar and contemporary adult synth groove of "Fiolent" from Russian Seven 24 is next, followed by the leftfield uplifting strums and beats from Balearic newcomers Cucumbers with "Good Morning". Glasgow based Korvids drip into the soundscape with the lazy, twisted slow-synth jam of "Slouch". We then head to Italy for Tony Carrascos Audio Affair project and the table groove, moon-washed treat "Chasma Boreale". Lifting the groove quotient a tad we take a trip to the San Francisco Bay area with "Olas Atlas" from Aimes. Big synth grooves and laid back drum machine dice with classy samples and shimmering chords. UK based Aaron Taylor and his Ambray project is next up with the dark deep brooding male vocal of the meloncoly forlornness of "The Waterline". Redinov Kirill follows with his plucky synthy dream workout. Englishman, Robert Burbridge is next with his downtempo jazz and chill space from his Rubberlips project. Here with Jess Smethurst on super smooth vocals we experience the subtle slap bass, handclaps, jazzy Rhodes and teasing brass all wrapped up in chill house groove. Misson Brown is next with his summer piano and seashore synths in "Only Human". To round things off we experience the lo-fi electronica and sun-striding piano of "This Five Sense World" from Valdi Sabev. No Balearic compilation would be truly complete without a visitation from Cafe Del Mar resident Jose Padilla. Here the dreamy Leo Ceccantti strummed version of his classic "Elixir" track is the perfect tonic to wind down proceedings. Layers of folding guitar, Ibiza passion and dreams of a faraway sunset. Written & produced by Jan Hanak. Published by Dharma Songs. Licensed from Distinctive Records. Written & Produced by Gary Butcher. Published by Dharma Songs. Licensed from Real Balearic. Written & Produced by Steven Solvieg. Published by Dharma Songs. Licensed from Real Balearic. Written & Produced by Yuri Semenyaga. Published by Dharma Songs. Licensed from Real Balearic. Written & Produced by Klimushin Stanislav. Published by Dharma Songs. Licensed from Real Balearic. Written & Produced by James Grant. Published by Copyright Control. Licensed from Nang Records. Written & Produced by M.Giannotti, T. Carrasco & N.Calgari. Published by Dharma Songs. Licensed from United Recordings. Written & Produced by Aman Ellis. Published by Dharma Songs. Licensed from Real Balearic. Written & Produced by Aaron Taylor. Published by Dharma Songs. Licensed from Real Balearic. Written & Produced by Redinov Kirill. Published by Dharma Songs. Licensed from Real Balearic. Written & Produced by Robert Burbidge. Published by Dharma Songs. Licensed from United Recordings. Written & Produced by Mission Brown. Published by Dharma Songs. Licensed from Real Balearic. Written & Produced by Valdi Sabev. Published by Dharma Songs. Licensed from Real Balearic. Written & Produced by Jose Padilla Requena & Giuseppe Tuccillo. Lyrics by Jose Padilla Requena. Remix & Additional Production by Leonardo Ceccanti. Published By Traaxx Music GEMA. Licensed fom Melodica Recordings.